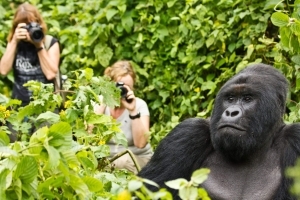 The 8 days Uganda wildlife safari & gorilla safari Rwanda or 8 days Volcanoes gorilla safari trekking safari Rwanda & Queen Elizabeth wildlife tour Uganda is a Rwanda and Uganda tour for gorilla trekking and wildlife safaris. Arriving in Kigali international airport and departing at Entebbe international airport, your exclusive 8 days tour features gorilla trekking in Volcanoes National Park Rwanda and boat cruise, game drive and chimpanzee trekking at Queen Elizabeth National Park Uganda. When you arrive at Kigali international airport, a professional Rwanda safari guide warmly welcomes you to the land of a thousand hills, briefs you on the safari and drives you through the city to a lodge or hotel in Kigali. The next morning, you are driven past beautiful landscapes to Volcanoes national park for gorilla trekking the next day. After gorilla trekking, you continue to Uganda where you do a game drive, boat cruise and chimpanzee trekking in 2 days at Queen Elizabeth National Park. 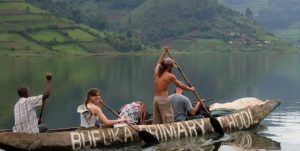 From Queen Elizabeth park on the seventh day, you are transferred to Lake Bunyonyi for canoeing then a drive to Entebbe international airport for departure the next day with a stop at the equator line. Day 1: On arrival at Kigali international airport your professional driver guide transfers you for rest at a booked hotel/lodge in Kigali. Day 2: After relaxed breakfast, your driver guide transfers you to Volcanoes national park where you have dinner and spend the night at an accommodation close to the park. Day 3: By 8:00am, gorilla trekking in Volcanoes national park starts therefore you will be at the park before this time and spend there 2-8hours. 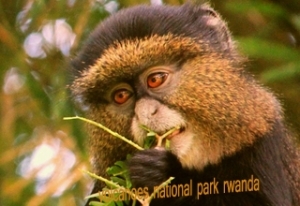 Day 4: From Volcanoes park Rwanda, you are transferred to Uganda’s Queen Elizabeth National Park after breakfast. Day 5: A morning game drive starts the day then after you return to your lodging facility for lunch and later an evening boat cruise at kazinga channel. Day 6: After breakfast you are driven to Queen Elizabeth’s kyambura gorge (also known as the valley of apes) for chimpanzee trekking lasing 2-4 hours then after you return to your lodging facility. Day 7: In the morning, you are transferred to Lake Bunyonyi where you go canoeing in the evening. Day 8: After breakfast, you are driven to Entebbe international airport for departure with a stop at the equator line in Kayabwe. 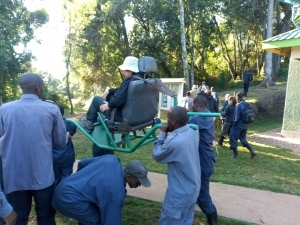 Upon setting foot in Rwanda’s Kigali international airport, a professional driver guide will be waiting to take you through your Rwanda gorilla trekking safari and wildlife tour in Uganda. After meeting and greeting and briefing about the trip, you are driven through Kigali city for a short city tour depending on your time of arrival then to a hotel or lodge in Kigali. Here you relax, have dinner and spend the night as you relax from your flight. Waking up in the beautiful land of a thousand hills with beautiful people, your driver guide will transfer you to Volcanoes national park. Also known as Parc National Des Volcano this is the only habitat to mountain gorillas in Rwanda a portion of the Virunga mountains. On arrival, to a prior booked accommodation in Volcanoes National Park, you check in, have dinner and relax as you wait for gorilla trekking in Rwanda the next day. Waking up for a Rwanda gorilla trekking tour experience, you have early breakfast then start the drive to the Volcanoes park gorilla trek starting point. By 8:00am, you are briefed by park rangers for about 30 minutes then start the trek alongside a park ranger and 7 other trekkers in search of the single family you are allocated. 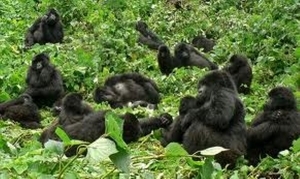 The allocation is based on where the gorillas did nest the previous day and your physical fitness level. After spending a single hour out of the 2-6 hours of the trek, you return to the park headquarters where you meet your driver guide for a transfer back to your hotel or lodge. After relaxed breakfast-the last in Rwanda, you are driven from the hotel to Uganda vi the Katuna border. 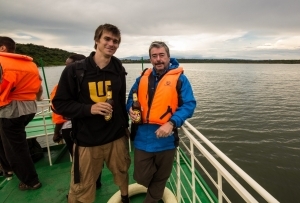 After about 6-7 hours of scenic views on a road trip past the Virunga backdrop, you arrive in Uganda-the Pearl of Africa in the evening for a Uganda wildlife tour. You spend the night at an accommodation in Queen Elizabeth National Park. 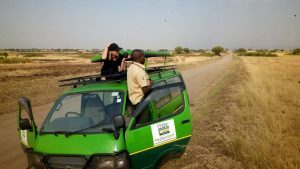 A morning game drive starts the day by 7:00am at Queen Elizabeth parks’ vast plains which is the second popular visited tour destination in Uganda. The lions, buffaloes, leopards, Topis, waterbucks, baboons and elephants make the popular sightings of the morning. After about 2-4hours of sighting on the various attractions in Queen Elizabeth National Park, you return to your hotel or lodge for a meal and relaxation before heading for an evening boat cruise. At 2:00pm, you are driven to the 45km long Kazinga channel for a boat cruise at a point which has one of the highest concentration of hippopotamuses and crocodiles in the country. In the evening, you are driven back to your hotel for dinner, relaxation and an overnight stay. 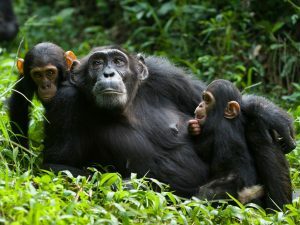 After breakfast, you are driven for a chance to trek man’s closest relative-the chimpanzees at Kyambura Gorge. Known as the valley of apes, you walk into the thick forest below sea level in search of the chimpanzees. Situated in the far Eastern part of the par, you spend in the valley about 2-4hours then after be returned to your lodge for meals and relaxation. 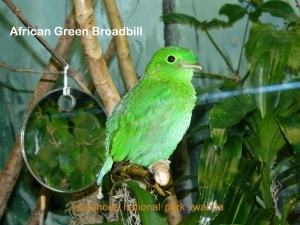 In the morning, you have breakfast then after say bye to the wildlife profuse Queen Elizabeth National Park as you are driven to Lake Bunyonyi-Africa’s deepest lake or also known as the lake of many small birds. Here you go on a canoe to the historical punishment island that survives with only 1 tree that thrives there. After which, you have dinner and spend the night at the earlier checked into hotel. After breakfast, you embark on a road trip to Entebbe international airport to catch your departure flight. Driving through different landscapes from south western Uganda to Central Uganda, you go past different daily life activities. At Kayabwe, about 80km to Kampala, you stop for a memorable double hemisphere experience. You then continue for your departure flight at Entebbe international airport. On the same Virunga massif volcanic mountains chain, you have the chance to go for a Uganda gorilla trekking safari at Mgahinga gorilla national park or Congo gorilla trekking tour at Virunga national park in Congo. 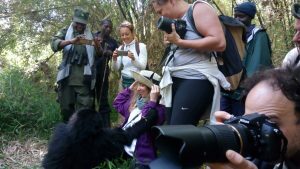 Come see what it means to go gorilla trekking in Rwanda and have a wildlife tour in Uganda on a single trip in East Africa by opting to customize your trip this way.